This small courtyard garden was tired and overgrown. 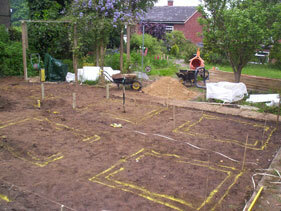 It was in desperate need of simplifying for a new family mainly by creating a lawn area kids to run about on. The garden is now low maintenance with raised timber planting beds, a new patio and an Easigrass artificial lawn. 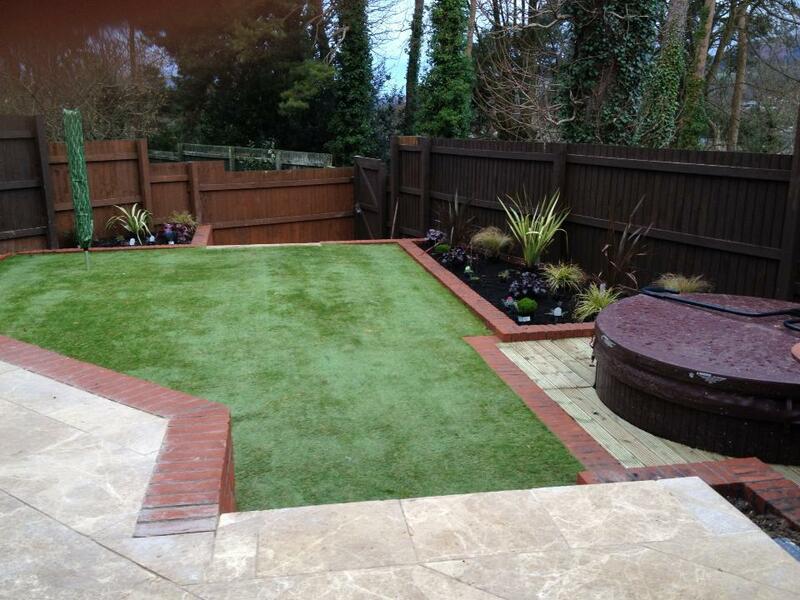 Our clients wanted a garden the whole family could enjoy and have fun in. 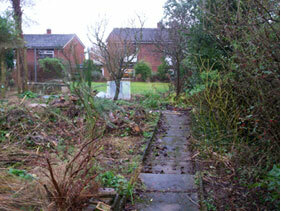 The original garden sloped down from the house to the bottom fence and really was an unusable space. 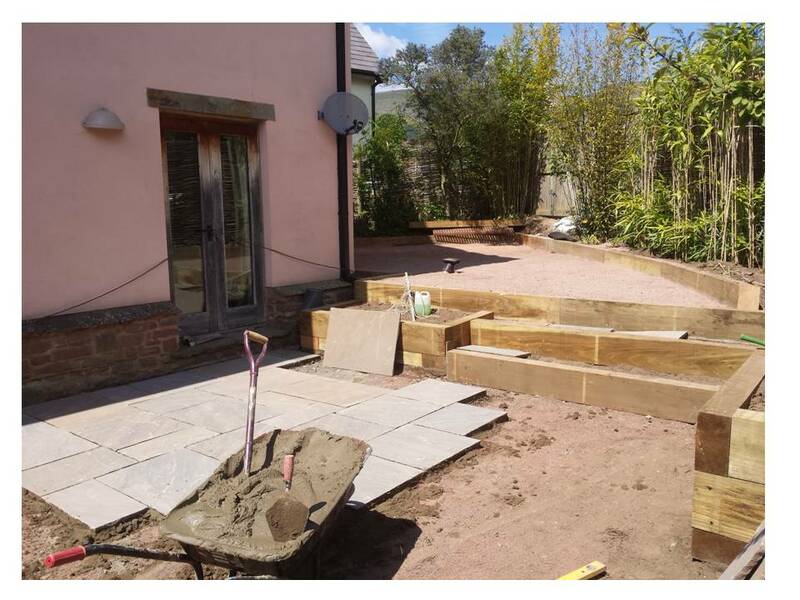 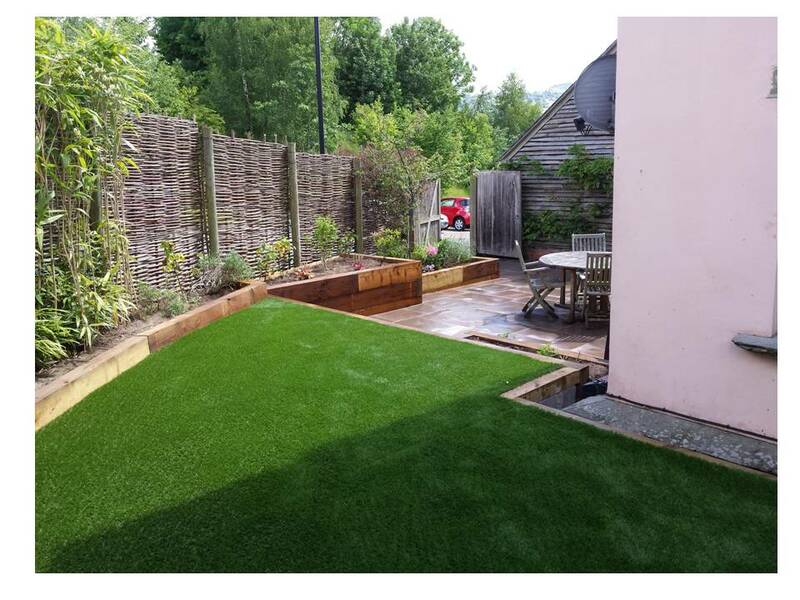 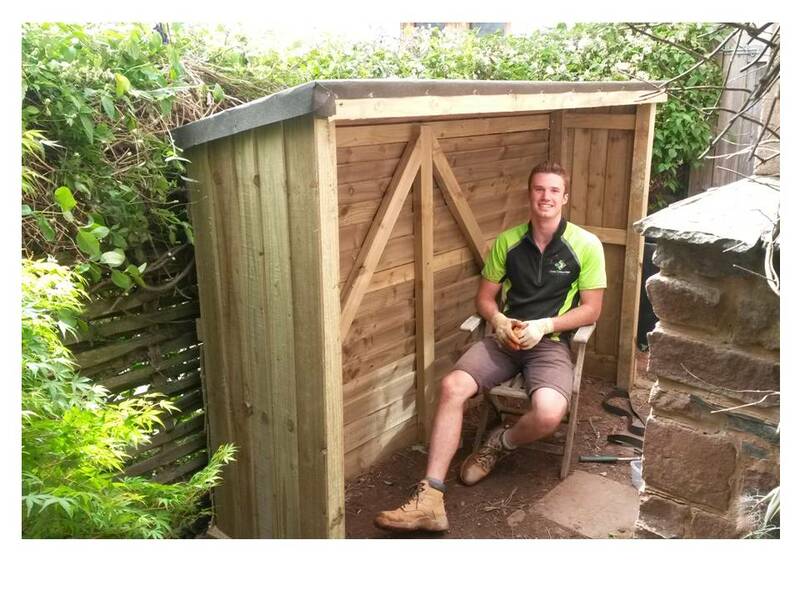 By levelling the garden into tiers we created a much more user friendly garden, with a larger patio seating area at the top and an astro turf lawn – which is very easy to maintain! 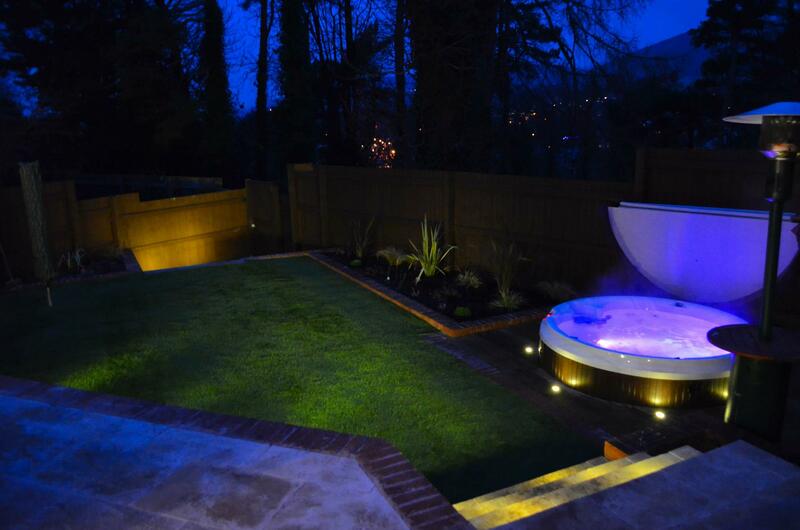 Our clients also briefed us to create space for a jacuzzi in the bottom corner of the garden, and by adding lighting to the steps, main retaining wall and decking really brings the garden to life at night time. 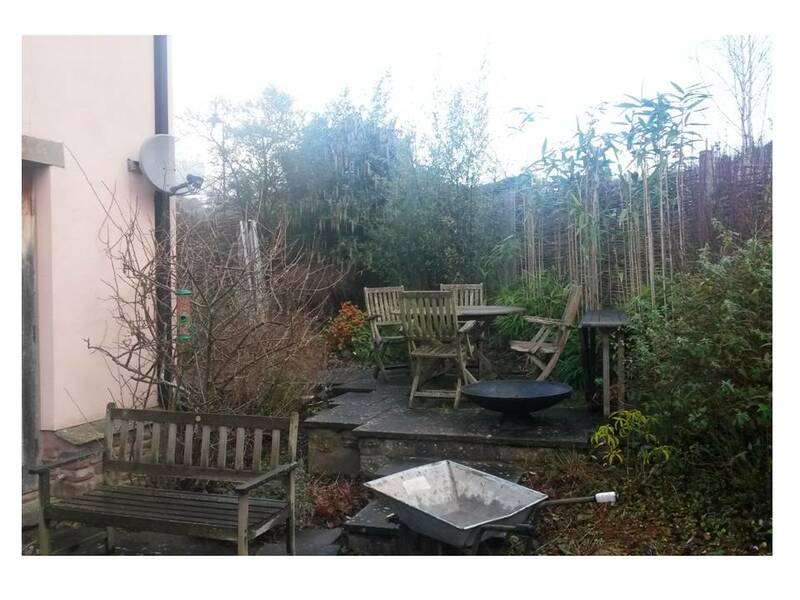 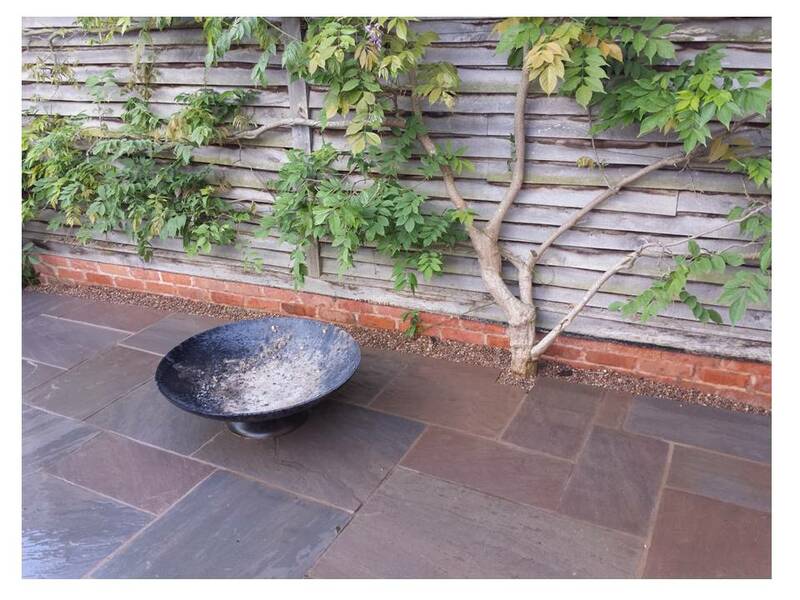 The area as seen in the ‘before’ photo below was unusable for the client and as a result, could not spend much time in their garden. 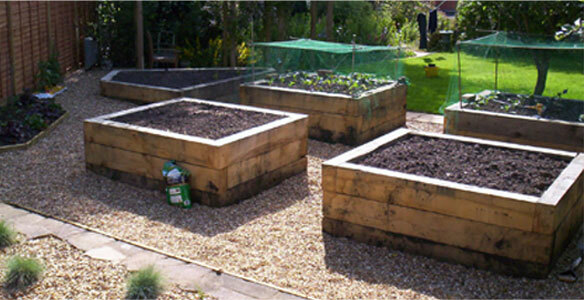 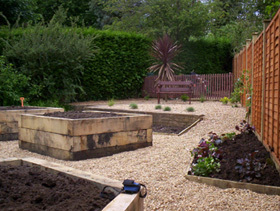 Their request was for some raised timber planting beds leaving the rest of the space as low maintenance as possible.